Born: Zachary Scott Taylor January 7, 1800 Locke, New York, U.S.
Died: March 8, 1874 (aged 74) Buffalo, New York, U.S.
Millard Fillmore was born January 7, 1800 in a log cabin, on a farm in what is now Moravia, Cayuga County, in the Finger Lakes region of New York. His parents were Phoebe (Millard) and Nathaniel Fillmore—he was the second of eight children and the oldest son. Nathaniel Fillmore was the son of Nathaniel Fillmore Sr. (1739–1814), a native of Franklin, Connecticut who became one of the earliest settlers of Bennington when it was founded in the territory then called the New Hampshire Grants. Over time, Nathaniel became more successful in Sempronius, though during Millard’s formative years the family endured severe poverty. Nathaniel became sufficiently regarded that he was chosen to serve in local offices including justice of the peace. In hopes his oldest son would learn a trade, he convinced Millard at age 14 not to enlist for the War of 1812 and apprenticed him to cloth maker Benjamin Hungerford in Sparta. Fillmore was relegated to menial labor; unhappy at not learning any skills, he left Hungerford's employ. His father then placed him in the same trade at a mill in New Hope. Seeking to better himself, Millard bought a share in a circulating library, and read all the books he could. In 1819, he took advantage of idle time at the mill to enroll at a new academy in the town, where he met a classmate, Abigail Powers, and fell in love with her. Later in 1819, Nathaniel moved the family to Montville, a hamlet of Moravia. Appreciating his son's talents, Nathaniel followed his wife's advice and persuaded Judge Walter Wood, the Fillmores' landlord and the wealthiest person in the area, to allow Millard to be his law clerk for a trial period. Wood agreed to employ young Fillmore, and to supervise him as he read law. Fillmore earned money teaching school for three months and bought out his mill apprenticeship. He left Wood after 18 months—the judge paid him almost nothing, and the two quarreled after Fillmore, unaided, earned a small sum advising a farmer in a minor lawsuit. Refusing to pledge not to do it again, Fillmore gave up his clerkship. Nathaniel again moved the family, and Millard accompanied them west to East Aurora, in Erie County, near Buffalo., where Nathaniel purchased a farm which became prosperous. In 1821, Fillmore turned 21 and reached emancipation. He taught school in East Aurora, and accepted a few cases in justice of the peace courts, which did not require the practitioner to be a licensed attorney. He moved to Buffalo the following year and continued his study of law—first while teaching school, and then in the law office of Asa Rice and Joseph Clary. At that time he also became engaged to Abigail Powers. In 1823, he was admitted to the New York bar, declined offers from Buffalo law firms, and returned to East Aurora to establish a practice as the town's only residing lawyer. Later in life, Fillmore stated that he initially lacked the self-confidence to practice in the larger city of Buffalo; his biographer, Paul Finkelman, suggested that after being under others' thumbs all his life, Fillmore enjoyed the independence of his East Aurora practice. On February 5, 1826, Millard and Abigail wed, and later had two children, Millard Powers Fillmore (1828–1889) and Mary Abigail Fillmore (1832–1854). In the end, the Taylor/Fillmore ticket won narrowly, with New York's electoral votes again key to the election. The Whig ticket won the popular vote by 1,361,393 (47.3 percent) to 1,223,460 (42.5 percent), and triumphed 163 to 127 in the Electoral College. Minor party candidates took no electoral votes, but the strength of the burgeoning anti-slavery movement was shown by the vote for Van Buren—though he won no states, he earned 291,501 votes (10.1 percent), and finished second in New York, Vermont and Massachusetts. Millard Fillmore was sworn in as vice president on March 5, 1849, in the Senate Chamber. March 4 (then Inauguration Day) fell on a Sunday, so the swearing-in was postponed until the following day. Fillmore took the oath from Chief Justice Roger B. Taney and in turn swore in the senators beginning their terms, including Seward, who in February had been elected by the New York legislature. Through 1849, the slavery issue was unresolved in the territories. Taylor advocated the admission of California and of New Mexico, as likely to outlaw slavery. Southerners were surprised to learn the president, despite being a Southern slaveholder, did not support the introduction of slavery into the new territories, as he believed the institution could not flourish in the arid Southwest. There was anger across party lines in the South, where making the territories free of slavery was considered excluding Southerners from part of the national heritage. When Congress met in December 1849, this discord was manifested in the election for Speaker, which took weeks and dozens of ballots to resolve as the House divided along sectional lines. Fillmore presided over some of the most momentous and passionate debates in American history as the Senate debated whether to allow slavery in the territories. The ongoing sectional conflict had already excited much discussion when on January 21, 1850, President Taylor sent a special message to Congress urging the admission of California immediately and New Mexico later, and that the Supreme Court settle the boundary dispute whereby the state of Texas claimed much of what is now the state of New Mexico. On January 29, Henry Clay introduced what was called the "Omnibus Bill". The bill would give victories to both North and South: it would admit California as a free state, organize territorial governments in New Mexico and Utah, and ban the importation of slaves into the District of Columbia for sale and export out of it. It would also toughen the Fugitive Slave Act, as resistance to enforcement in parts of the North was a longtime Southern grievance. Clay's bill provided for the settlement of the Texas-New Mexico boundary dispute; the status of slavery in the territories would be decided by those living there (known as popular sovereignty). Taylor was unenthusiastic about the bill, and it languished in Congress, but Fillmore, after hearing weeks of debate, in May 1850 informed Taylor that if senators divided equally on the bill, he would cast his tie-breaking vote in favor. He did his best to keep the peace among the senators, reminding them of the vice president's power to rule them out of order, but was blamed for failing to maintain it when a physical confrontation between Mississippi's Henry S. Foote and Missouri's Thomas Hart Benton broke out on April 17—before other senators intervened to separate them, Foote pointed a gun at his colleague as Benton advanced on him. Fillmore sent a special message to Congress on August 6, 1850, disclosing the letter from Governor Bell and his reply, warning that armed Texans would be viewed as intruders, and urging Congress to defuse sectional tensions by passing the Compromise. Without the presence of the Great Triumvirate of John C. Calhoun, Webster, and Clay, who had long dominated the Senate; Douglas and others were able to lead that body towards the administration-backed package of bills. Each bill passed the Senate with the support of the section that wanted it, plus a few members who were determined to see all the bills passed. The battle then moved to the House, which had a Northern majority because of population. Most contentious was the Fugitive Slave Bill, whose provisions were anathema to abolitionists. Fillmore applied pressure to get Northern Whigs to abstain rather than oppose, including New Yorkers—threatening to kill the renomination of Congressman Abraham Schermerhorn of Rochester, whose constituents included Frederick Douglass, if he voted against the bill. Through the legislative process, various changes were made, including the setting of a boundary between New Mexico Territory and Texas—the state would be given a payment to settle any claims. California was admitted as a free state, the District slave trade was ended, and the final status of slavery in New Mexico and Utah would be settled later. Fillmore signed the bills as they reached his desk, holding the Fugitive Slave Bill for two days until he received a favorable opinion as to its constitutionality from the new Attorney General, John J. Crittenden. Although some Northerners were unhappy at the Fugitive Slave Act, relief was widespread, as was the hope this would settle the slavery question. Fillmore was by then unpopular with northern Whigs for signing and enforcing the Fugitive Slave Act, but had considerable support from the South, where he was seen as the only candidate capable of uniting the party. 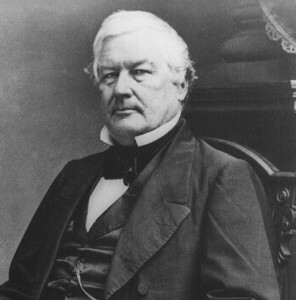 Once the convention passed a party platformendorsing the Compromise as a final settlement of the slavery question, Fillmore was willing to withdraw, but found that many of his supporters could not accept Webster and his action would nominate Scott. The convention deadlocked, and this persisted through Saturday, June 19, when a total of 46 ballots had been taken; delegates adjourned until Monday. Party leaders proposed a deal to both Fillmore and Webster: if the secretary could increase his vote total over the next several ballots, enough Fillmore supporters would go along to put him over the top; if he could not, Webster would withdraw in favor of Fillmore. 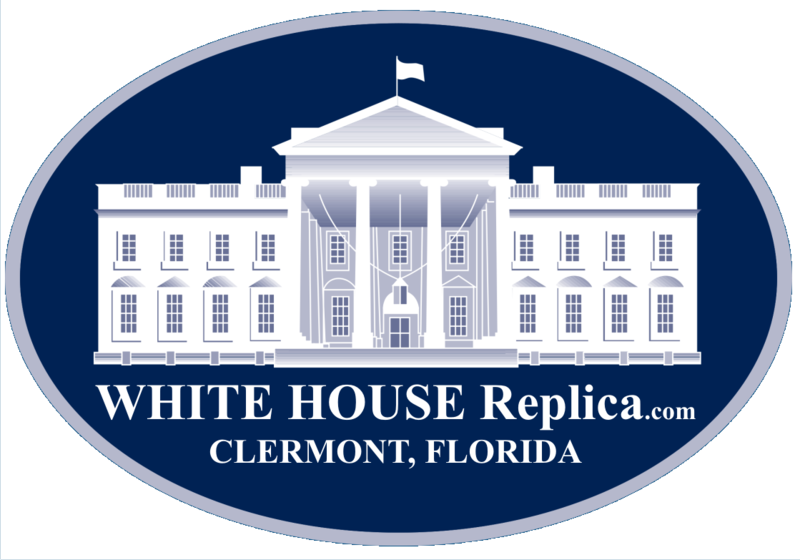 The president quickly agreed, but Webster did not do so until Monday morning. On the 48th ballot, Webster delegates began to defect to Scott, and the general gained the nomination on the 53rd ballot. Webster was far more unhappy at the outcome than was Fillmore, who refused the secretary's resignation. Bereft of the votes of much of the South, and also of Northerners who depended on peaceful intersectional trade, Scott was easily beaten by Pierce in November. Smith suggested that the Whigs might have done much better with Fillmore. Later that year, Fillmore went abroad, stating publicly that as he lacked office, he might as well travel. The trip was at the advice of political friends, who felt that by touring, he would avoid involvement in the contentious issues of the day, and he spent over a year, from March 1855 to June 1856, in Europe and the Middle East. Queen Victoria is said to have pronounced the ex-president the handsomest man she had ever seen, and his coincidental appearance with Van Buren in the gallery of the House of Commons triggered a comment from MP John Bright. 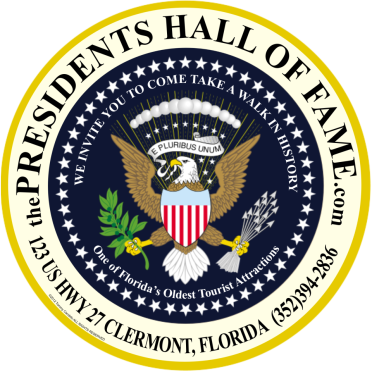 Fillmore was offered an honorary Doctor of Civil Law (D.C.L.) degree by the University of Oxford; he declined, explaining that he had neither the "literary nor scientific attainment" to justify the degree. He is also quoted, that he "lacked the benefit of a classical education" and could not, therefore, understand the Latin text of the diploma, adding that he believed "no man should accept a degree he cannot read." Alternatively, Fillmore may have refused the degree to escape the heckling and taunting which Oxford students typically imposed upon the recipients of such honors. On Election Day, Buchanan won with 1,836,072 votes (45.3%) and 174 electoral votes to Frémont's 1,342,345 votes (33.1%) and 114 electoral votes. Fillmore and Donelson finished third, winning 873,053 votes (21.6%) and carrying the state of Maryland and its 8 electoral votes. The American Party ticket narrowly lost in several southern states, and a change of fewer than 8,000 votes in Louisiana, Kentucky, and Tennessee would have thrown the election to the House of Representatives, where the sectional divide would have made the outcome uncertain.